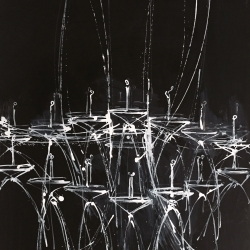 Daniel Schneider’s Chandelier Series explores the transition from non-traditional still-life drawing to abstraction. 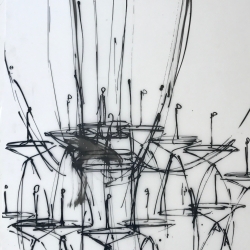 Originally derived from a 19th century European style chandelier, the drawings are completed in multiples and in serial format. 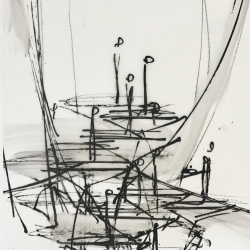 Through the repetitive act of mark-making, the accumulation of line creates a visual tension between the flatness of the surface and the illusion of spatial depth. 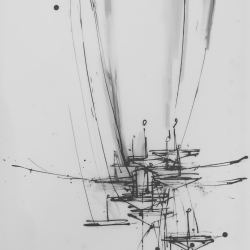 The continuous layering technique takes place until the work reaches a point at which it hovers between representation and abstraction. 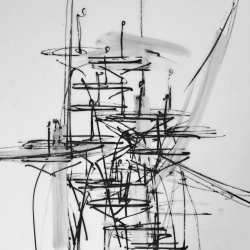 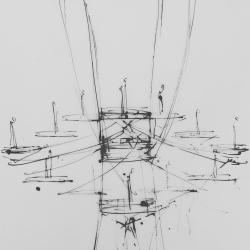 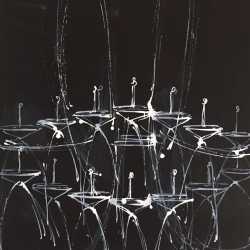 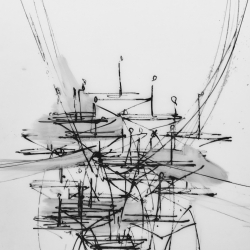 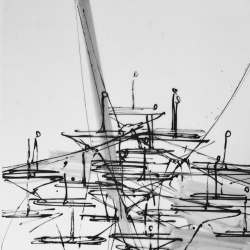 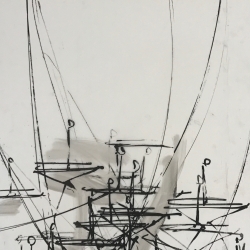 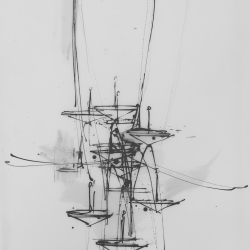 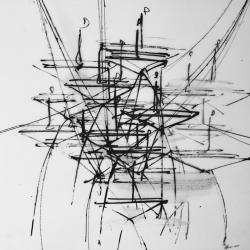 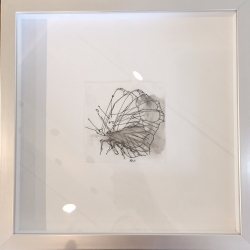 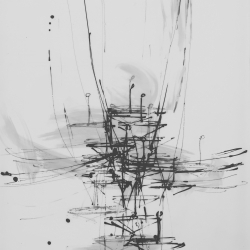 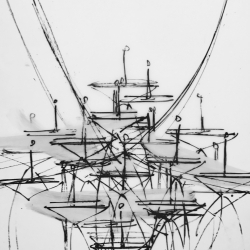 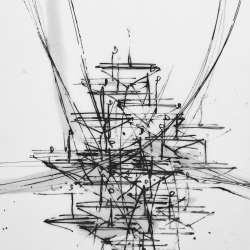 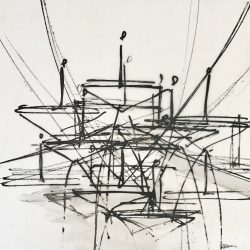 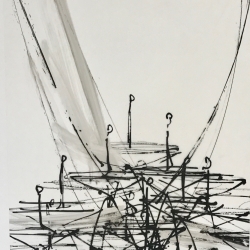 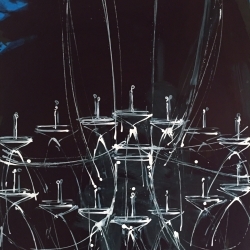 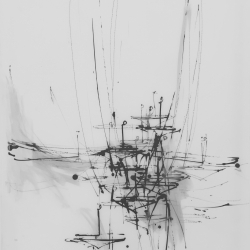 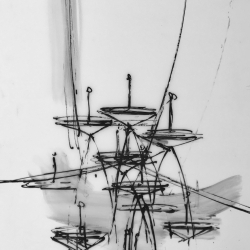 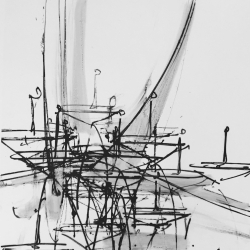 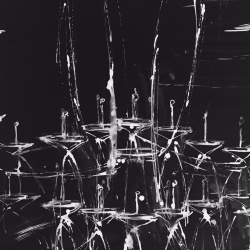 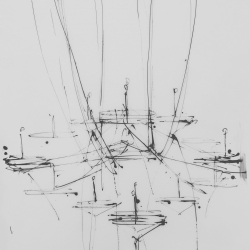 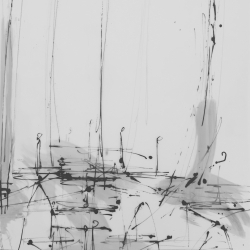 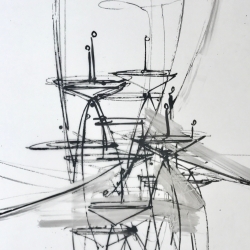 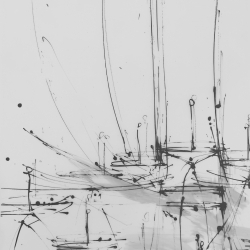 The essence of the original chandelier remains, while the viewer’s attention is brought to the formal element of line and the physicality of the mark-making process. 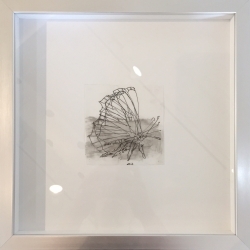 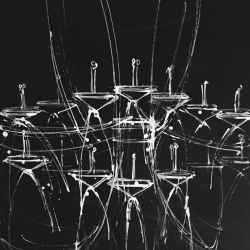 Schneider’s drawings hang in the Toronto Four Seasons Hotel, the Soho Metropolitan and the Cosmopolitan. 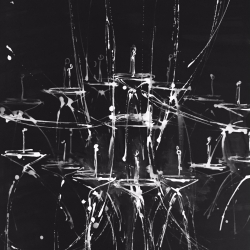 The Chandelier Series has appeared on episodes of Designer Guys and Cityline, and in issues of Canadian House and Home and Style at Home.